GE Fanuc Intelligent Platforms , a unit of GE Enterprise Solutions, today announced the introduction of its scalable high availability solution for the company’s industry-leading PACSystems RX3i controller. By combining essential processes and capabilities onto one platform, the PACSystems RX3i controller is one of the most powerful, scalable, flexible, and efficient means to increasing productivity. It now adds high availability to its multi-domain functionality along with logic, motion, HMI, and process control. Built on a synchronized hot-standby redundant control platform with transparent bumpless process switchover and easy configuration, PACSystems High Availability facilitates continuous uptime in essential applications. GE Fanuc’s PACSystems RX3i High Availability is designed to keep essential systems running efficiently and reliably by connecting two independent controllers on our proven RMX reflective memory technology link providing up to 2 Mbytes of data synchronization. If an event occurs with the primary controller, the control functionality is automatically switched over to the redundant controller for continuous operations. It serves the needs of applications where continuous uptime is essential to profitability, where bottlenecks must be avoided, remote locations where time and cost to repair is extended, and operations where work stoppage means lost production. It can be found in areas as diverse as protecting critical information in data warehouses, ensuring water quality at water treatment plants, and keeping the power on for hospitals and surgery centers. PACSystems RX3i offers true dual redundancy data synchronization with dual modules and dedicated, redundant links to one another. They operate with virtually no overhead added to the control application. 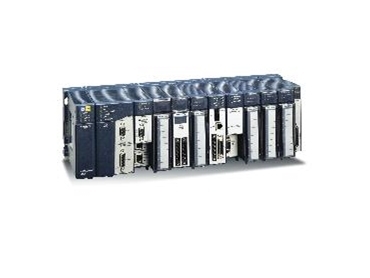 GE Fanuc’s unique, patented Redundant Memory Xchange (RMX) modules, based on reflective memory technology, synchronize the system at the beginning of the input scan and the end of output scan each logic scan execution to keep the controllers in lock step. Furthermore, the systems can be located up to 300 meters apart to so that any localized event affecting one system does not affect the other. PACSystems High Availability is designed to operate as a single, complete system, therefore eliminating the complex preparations typically associated with synchronizing and data transfer. Configuration is made easy with a Redundancy Wizard that guides the user in setting up shared data and I/O for both systems in a matter of minutes. PACSystems’ high speed memory sharing enables CPUs to be synchronized at 2.12 Gbits/second and multiple devices to transfer large amounts of data, up to 2 Mbytes, over a fiber optic deterministic network at speeds up to 20 times faster than Ethernet. The use of fiber optic connections allows users to easily operate in high-noise areas and cover large distances in real time. “The PACSystems RX3i High Availability really maximizes return on investment,” said Bill Black, Product Manager for Controllers at GE Fanuc. “With minimized downtime in process, increased productivity with fast powerful synchronization, reduced engineering costs with easy configuration, and increased data integrity, all in the smaller footprint of the RX3i, customers really see the power of the system.” Seamlessly integrated into the system, the high availability continues to build out the incredible value of the entire PACSystems RX3i programmable automation controller. The PACSystems RX3i High Availability is available immediately.